The pace of discovery in genetics is such that every few months a new finding has the potential to change something fundamental about our understanding of the science. To keep up, we here at 23andMe take a moment to look back and list the top genetic findings of the year. As health workers heroically raced to try and stop the outbreak of Ebola in West Africa, a core group of scientists at Broad Institute began sequencing the virus in real time. They wanted to understand how it mutates, whether there are strains that are more deadly than others and why some individuals may be more resistant to the virus than others. In one of the team’s first studies, they were able to trace the start of the outbreak in Sierra Leone to a funeral in May of 2014. But as a testament to the dangers many of these health workers face, five of the co-authors on the study – who worked in Sierra Leone – contracted Ebola and died. A new kind of DNA test allows for the screening of prenatal abnormalities without the kind of invasive procedures needed in the past. . The test allows doctors to obtain fetal DNA by taking a small blood sample from the mother and then screening for chromosomal disorders. Much has been made about the quest for the $1,000 genome and its potential for revolutionizing medicine and research. Illumina announced that they have developed a machine – the HiSeq X ten – that, at volume, can reach that price point. Since the first human genome was sequenced a little more than a decade ago, the cost of sequencing has plummeted to less than one-one hundred-thousandth of its original price. But as the price of sequencing has dropped, the utility of that information has risen. Cost soon will no longer be a barrier for getting tested. A boy is rushed to the hospital critically ill, but no one can quite figure out what is wrong with him. His case published in the New England Journal of Medicine and reported on in the The New York Times, illustrates the power of next-generation sequencing to quickly identify a pathogen and help direct treatment. Suffering from a fever, headache, stomach pain and swelling of the brain, the 14 year-old’s condition got so bad that he was put into a medically induced coma. After weeks of trying treat and diagnose him, doctors finally decided to sequence the boy’s cerebrospinal fluid and compare it to a sequencing data from the National Center for Biotechnology Information. Within a few hours using doctors were able to pinpoint a likely cause of the infection, the bacteria Leptospira, that brought him close to death.This allowed doctors to identify proper treatment and bring him back from the brink. 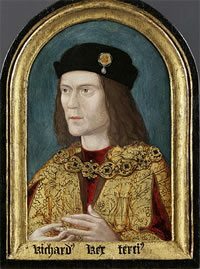 The story around the identification of King Richard III’s bones found under a municipal parking lot in Leicester, England offers a rare opportunity to look at what we know about a historical figure, use DNA from that individual, and then compare it with the DNA from living relatives –as well as what’s in the history books and even classic literature – to piece together a more complete version of history. Three studies over the past year have expanded what we know about people with ancestry from Africa, south Asia and Mexico, and remind us that more needs to be done to improve the diversity of genetic studies, which in turn is critical for improving medical research for everyone. Studies early this year by scientists at Harvard and at the Max Planck Institute in Germany, added more to what we know about human evolution by tracing modern Europeans to three distinct ancient populations. Led by geneticist David Reich, the study used DNA extracted from ancient bones and compared the sequences to sequences from modern humans. Svante PÃ¤Ã¤bo and his team at the Max Planck Institute for Evolutionary Anthropology in Leipzig, Germany went back farther than anyone before in sequencing a 45,000 year-old leg bone found on a riverbank in Siberia. PÃ¤Ã¤bo and his team were the first to decode the Neanderthal genome a few years back, and they have left us all to marvel as the ability to obtain a quality DNA sequence from ancient bones. But beyond that achievement, the sequence also gives us more detail about how modern humans evolved and interbred with their early human cousins, such as Neanderthals and Denisovans. From previous work, we knew that humans and Neanderthals interbred, but this sequence allowed scientists to pinpoint when the interbreeding occurred. Researchers lead by a team from Massachusetts General Hospital and the Broad Institute, found that a genetic variant in the gene NPC1L1 that not only lowers the levels of “bad” LDL cholesterol but also significantly cuts the risk for heart disease. The finding published in the New England Journal of Medicine, is interesting for another reason. By pooling large sets of genetic data, researchers can find people with rare genetic variations that are protective against certain conditions. This in turn can help researchers more effectively identify the biological underpinnings for those conditions as well as target more effective treatments. list, not just for how much work our scientists have done, but for the breadth of our research. We also posted a strong showing at this year’s meeting of the American Society of Human Genetics. And we can’t let the year go by without mentioning a paper published this month in American Journal of Human Genetics. 23andMe population geneticist Kasia Bryc created a first-of-its-kind genetic portrait of the United States. The study offers a detailed look at how the ancestry make-up of self-identified African Americans, Latinos and European Americans differs by region and these differences reflect some of the distinctive socio-political history in different parts of the United States.